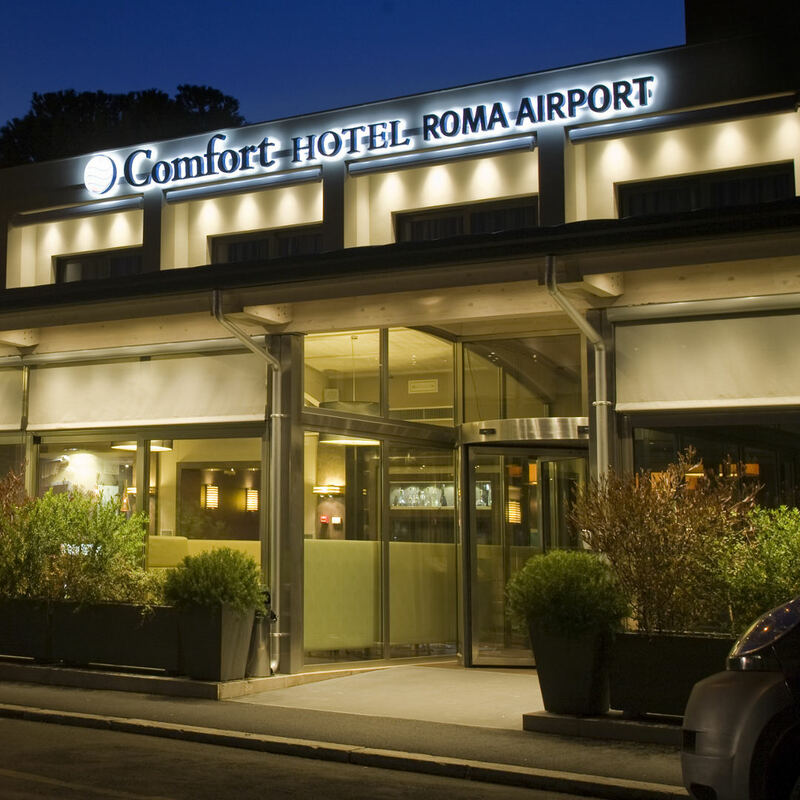 Welcome to the Comfort Hotel Roma Airport, elegant 4 star hotel located just a few minutes from the International Airport of Rome Fiumicino "Leonardo da Vinci". 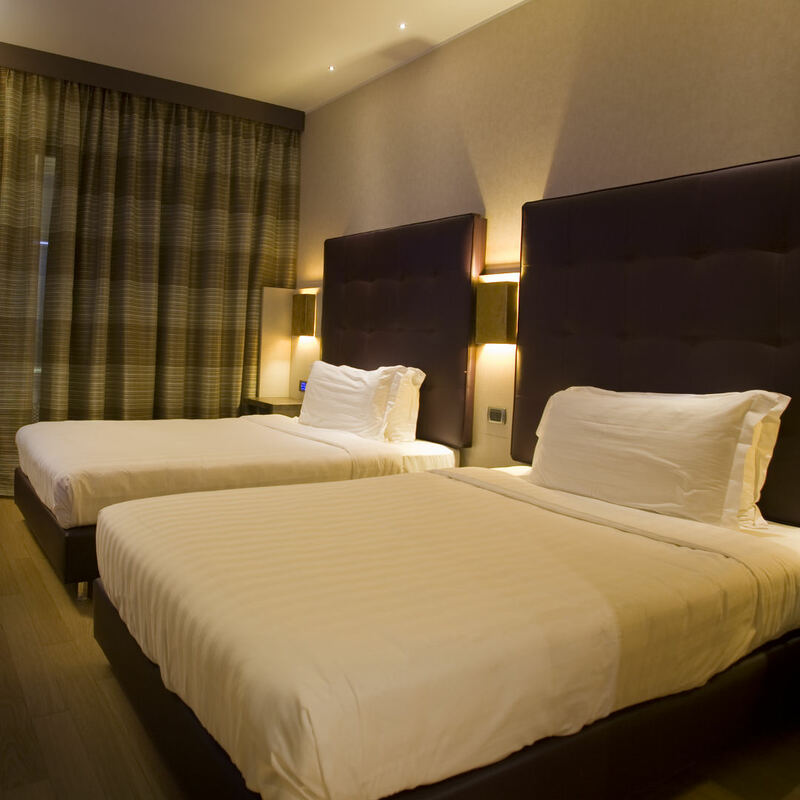 The Hotel, modern and functional, is located close to the main airport Terminals, the New Fair of Rome and is well connected to the center of the Eternal City. All the rooms are elegantly furnished in a modern and comfortable style and offer all the amenities to make your stay really enjoyable. The courtesy and professionalism of the staff will make you feel at home while away. Thanks to the attentive service and the strategic location, the Comfort Hotel Roma Airport is the ideal choice for all types of travelers. In addition, the presence of 3 Meeting Rooms equipped with modern devices, make the hotel the perfect choice for your conferences, conventions and more. Our hotel provides a convenient shuttle service to / from the airport (paid service). Close to the International Airport "Leonardo da Vinci"